District Attorney Maeghan Maloney said prosecutors are trying to negotiate an agreement that will get the victims repaid. WINSLOW — Four months after being charged with stealing tens of thousands of dollars from a local athletic booster club, Wendi Willette is still negotiating with prosecutors. Another booster club member said Willette deflected repeated requests to see the club’s checkbook before the charges were announced. Willette, 41, was arrested in late September by officers from the Winslow Police Department, who said she had drained the accounts of the Winslow High School Wrestling Boosters Club. Willette was the club treasurer for three years. The total amount stolen is between $10,000 and $30,000, according to Winslow police Chief Jeff Fenlason. Willette pleaded not guilty in November. Maloney said her office is still actively working the case, which was the topic of a meeting between her office, the lead detective on the case and Willette’s defense attorney last week. 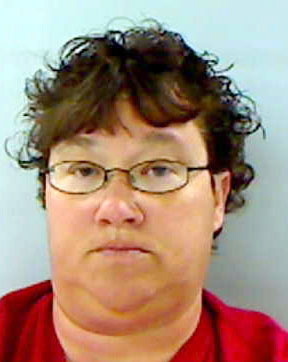 Police were led to Willette by other booster club members, who suspected Willette had stolen the money. When charges of theft were first announced against Willette, booster club member Carol Fredette told the Morning Sentinel via email that she said suspicions about Willette had accumulated over time. “We had been trying for a long time to get the check book back from her and we got lie after lie,” she wrote. The money, which was used to help support the team by paying for travel to tournaments and needed equipment, had been built up over years, Fredette said. In 2003, and again in 2004, Willette was convicted of negotiating a worthless instrument, a crime that often means passing bad checks. Willette was also involved with a field hockey program offered to children through the recreation department in China, but the town office released a statement in November that she was no longer involved with the program. A status conference on the case is scheduled Feb. 11 in Kennebec County Superior Court in Augusta.